“Thank heaven for saving so exquisite a thing from a shark’s hideous cold kiss when the Lusitania plunged!” The Editor, Photoplay Magazine, July 1915. Imagine a celebrity caught up in a real life terrorist attack, hundreds or even thousands die, but the celebrity survives, not quite a modern-day Ishmael, but with a story so compelling that along with the greater human tragedy it becomes instant legend and, completely without irony, a hugely successful feature film. It happened. In 1915. The celebrity was an actress, known, but not a household name. Without the aid of social media, she became famous worldwide within days of the catastrophic event. It was the sinking of the Lusitania, technically an act of war, but in reality an act of terror — the culmination of a campaign of terror in the media that came true. 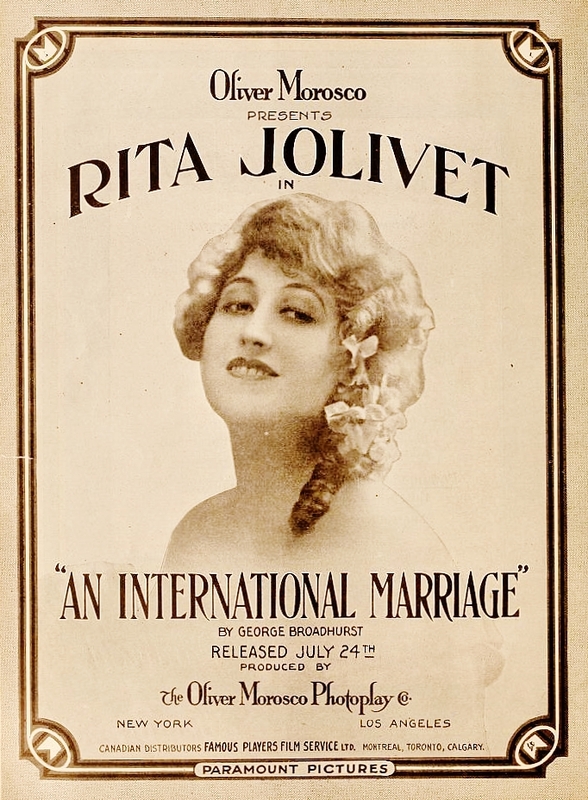 Rita Jolivet was the actress, and her life before Lusitania was similar to those highly embellished bios of most of her colleagues on stage and film, except that hers was not the product of publicity. 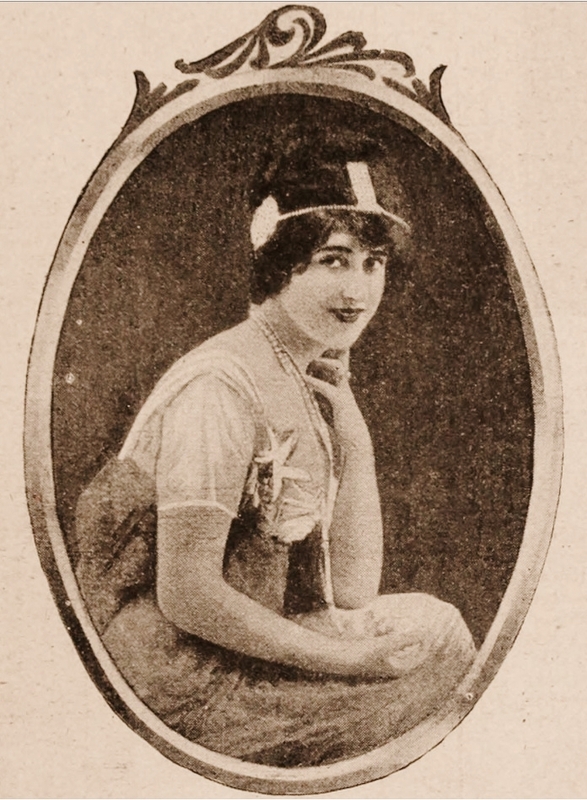 A truly international star of stage and film, Rita Jolivet was an American actress of French parentage who learned her craft in London, had great success on Broadway, made her first films in Italy and became a star of motion pictures in the States with Famous Players-Lasky, under the direction of Cecil B. DeMille. Born Marguerite Lucile Jolivet on the 24th of September, 1884, in Castleton, Richmond, New York (the birth year she claimed of 1890 was probably the one fiction of her past, as most actresses routinely shaved three to five years from their ages), her father, Charles Eugene Jolivet, was a French citizen and international merchant who lived for a time in America, and owned property in both France and in England. Her mother, Pauline Helene Vaillant Jolivet, was also French — a musician who stopped performing when at 22 she married Charles in 1879. 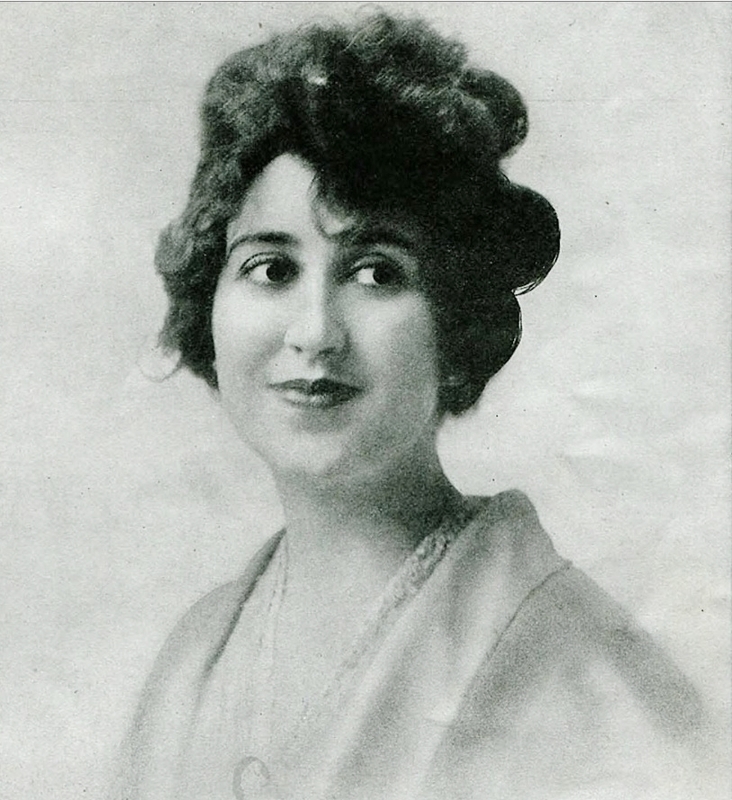 Another child, possibly older than Rita, was Inez, who also became an accomplished musician. The result for young Rita was a family with international connections that she would maintain actively all during her life and career, connections that placed her aboard the Lusitania that fateful day in May, 1915. Inheriting the family talent for the performing arts, Rita worked in London with producer/director William Poel whose authentic approach to Elizabethan drama revolutionized productions of Shakespeare in the late 19th century. 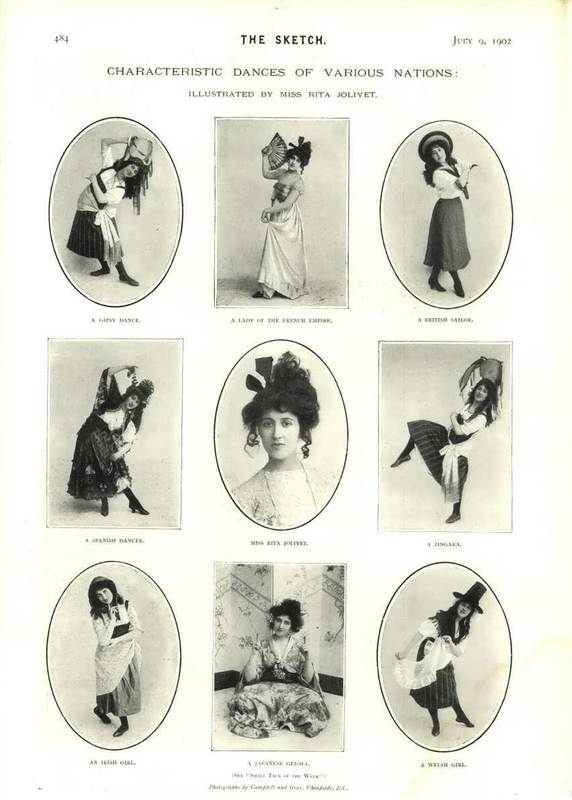 Rita Jolivet featured in a kaleidoscope of poses in the English Sketch magazine, July 1902, by which time Jolivet was already a popular stage performer in London. These photos also seem to be proof that, contrary to her claims, she was not born in 1890: she is clearly older than twelve. An earlier birth date of around 1885 would be a reasonable assumption. 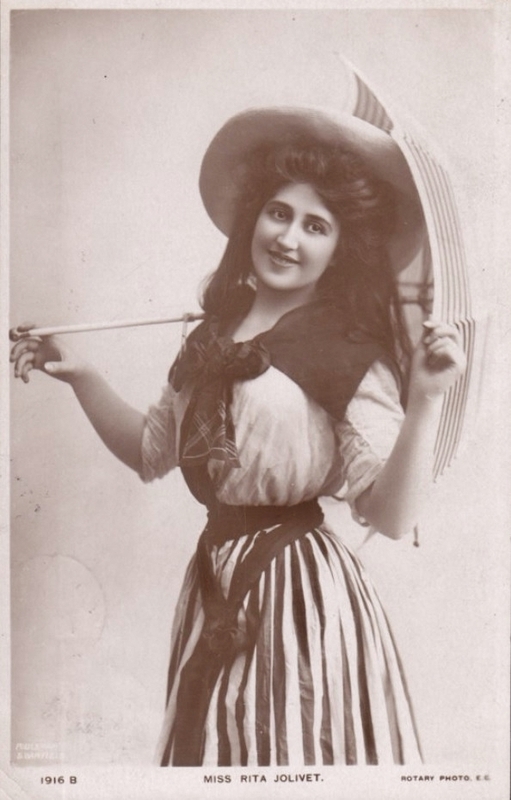 By the turn of the twentieth century, Rita Jolivet was a popular ingénue on the English stage. 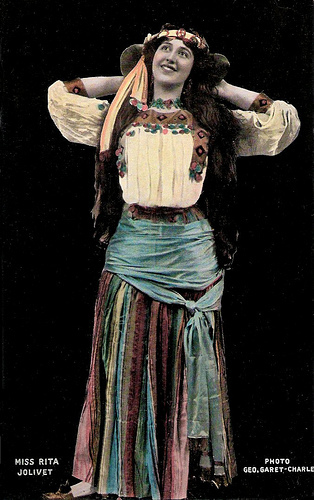 But her career in the theater entered a new level when she was cast as Marsinah in the Charles Frohman production of Kismet, a play that had run for many months in London before reaching the United States with Jolivet and Otis Skinner in the lead roles. 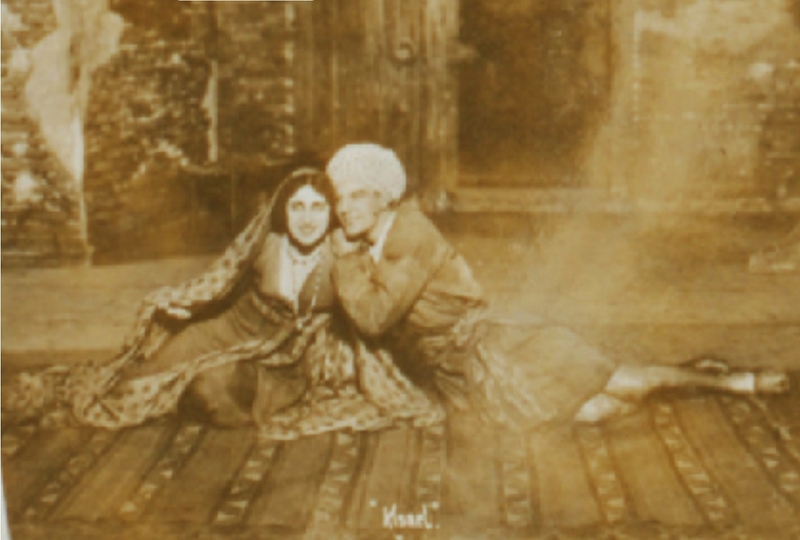 Directed by Harrison Grey Fiske, Kismet spent a week in Washington, D. C., then opened on Broadway, Christmas Day 1911, to rave reviews and played the Knickerbocker Theatre for the next six months. 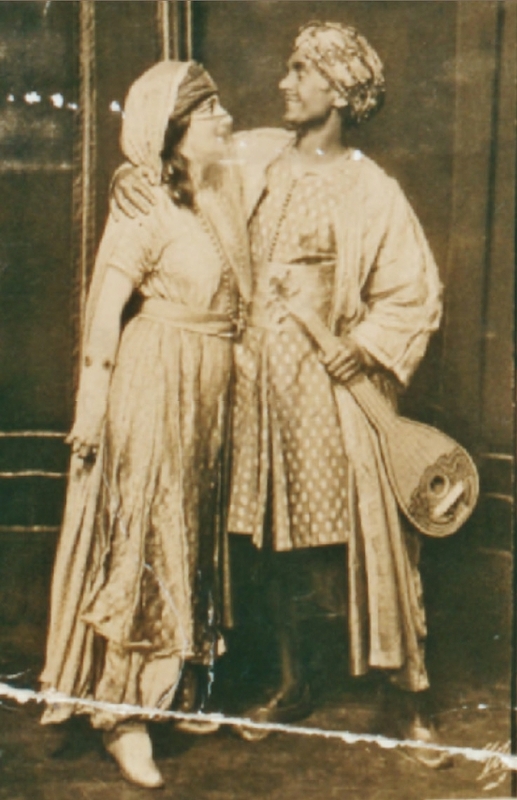 Jolivet continued her association with Grey Fiske, appearing in his production of Molnar’s comedy Where Ignorance is Bliss on Broadway in 1913. 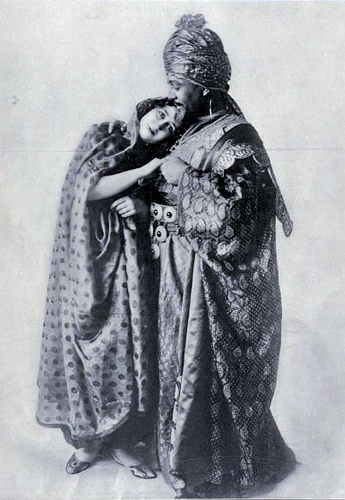 But in 1914, she scored a major success in another spectacle of Orientalism in the Lee and J. J. Schubert production of Percy MacKaye’s A Thousand Years Ago, in which she had the leading role as the Chinese Princess Turandot. 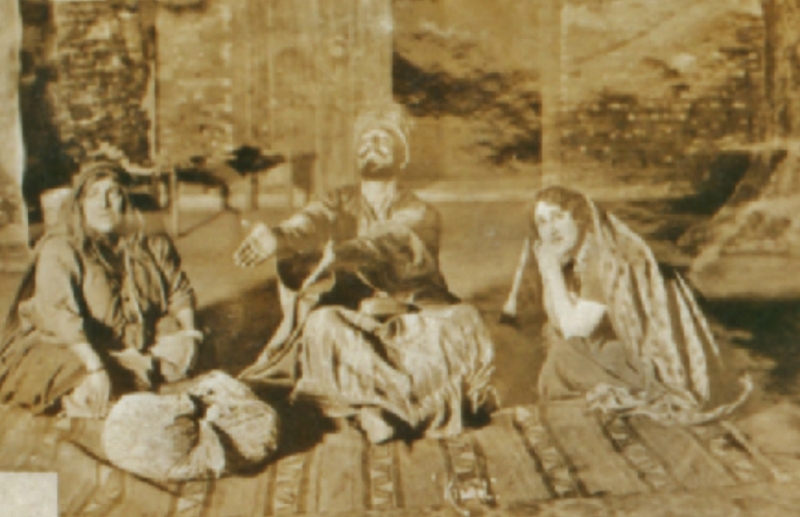 Like many successful theater professionals in the mid 1910s, she may have found the nightly grind and the travel to be unappealing compared to the newest performing art: film acting. But it was through a new acquaintance and future husband, an Italian aristocrat, Count di Cipicco “of London, Paris, Berlin” and Naples, that she was persuaded to travel to Italy to work with the Ambrosio, S. A. film production company for whom she made several three and four reel features. 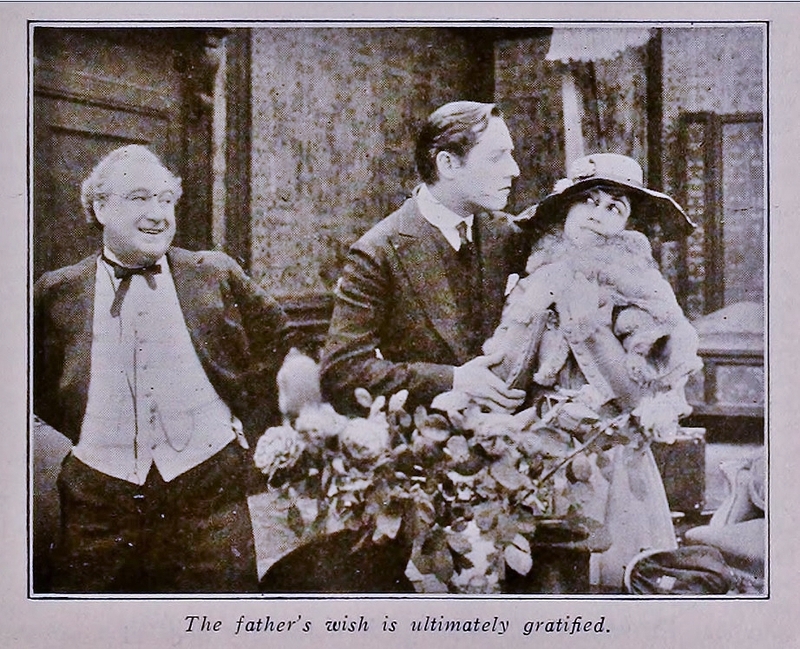 In early 1915, Jolivet signed with Famous Players, managed by Adolph Zukor and Daniel Frohman, the older brother of Charles, culminating in Jolivet ‘s appearance for the Jesse Lasky production unit of Famous Players, directed by Cecil B. DeMille, in the 1915 four reel feature, The Unafraid. Cecil B. DeMille had been named Director General of the Famous Players California division, and in 1913 established a studio in Los Angeles, That same year he produced the first feature film made entirely in California, The Squaw Man. 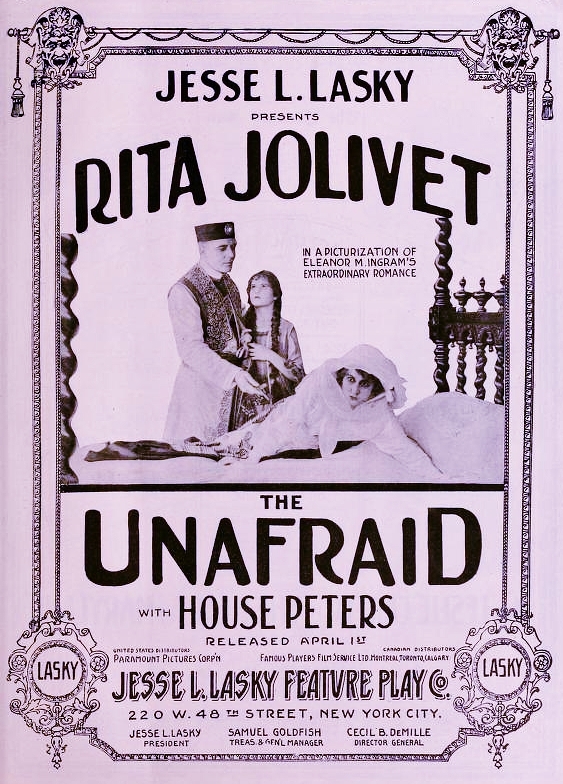 DeMille directed about a dozen more in 1914 before 1915’s The Unafraid in which Rita Jolivet — now famous in America from her work on Broadway — appeared opposite House Peters and Theodore Roberts in a tale of a wealthy American heiress who becomes involved with two Balkan noblemen who turn out to be brothers. Apparently Jolivet, who had already played Middle Eastern and Chinese characters on stage and Italians on film, could not convincingly play an American, at least in the eyes of W. Stephen Bush of The Moving Picture World. “Miss Jolivet, who plays the part of the American heiress, has appeared once or twice on the American stage. She is a French woman of striking beauty and of some histrionic talent, but in the part of an “American” heiress, she is miscast. 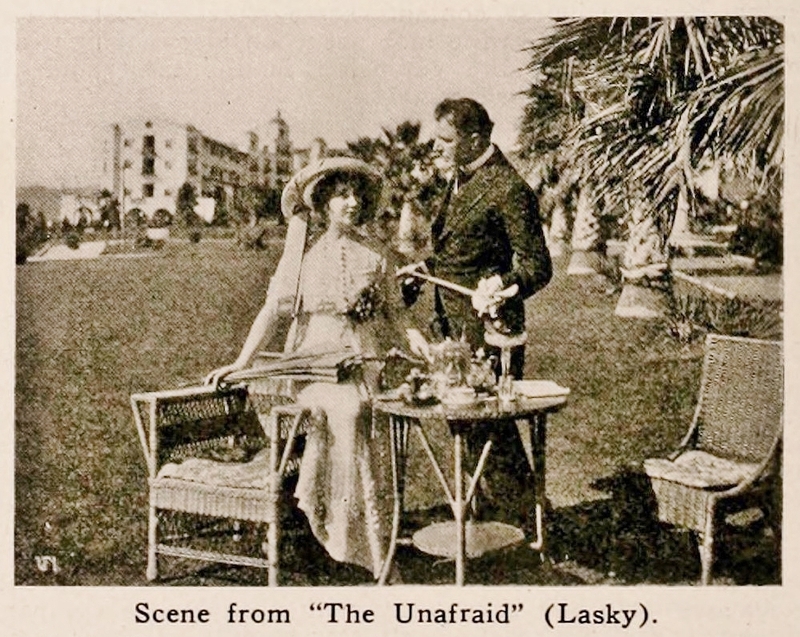 A more typically French woman could not be imagined.” “The Unafraid,” reviewed by W. Stephen Bush, The Moving Picture World, April 10, 1915. 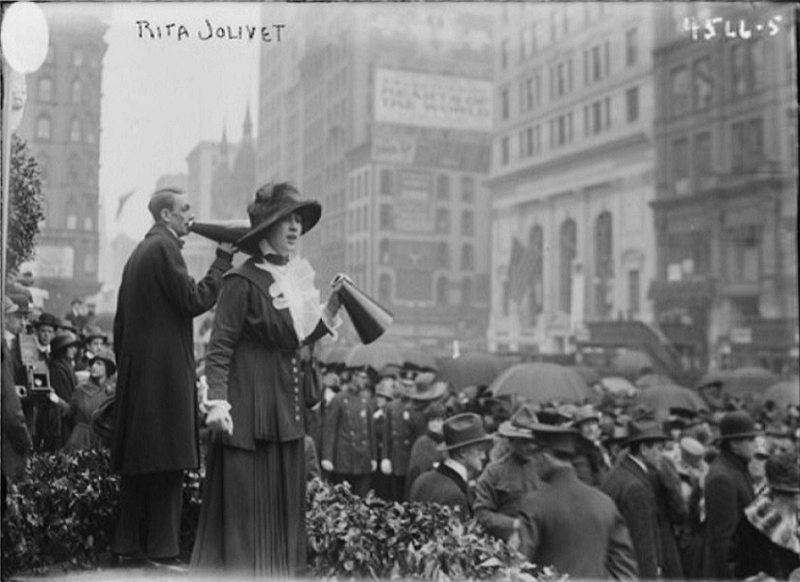 Within a few weeks of the New York première of The Unafraid, Jolivet made plans to travel back to London and Paris to visit her family and hopefully reconnect with her two brothers who were serving in the armed forces, one with France, the other with the British in the war that had broken out the previous August. The United States had remained officially neutral in the growing conflict in Europe, but the German government suspected, correctly as it would turn out, that arms and war materiel were being shipped from America to Britain, and that not only merchant ships, but passenger steamers as well, were assisting in the transport. 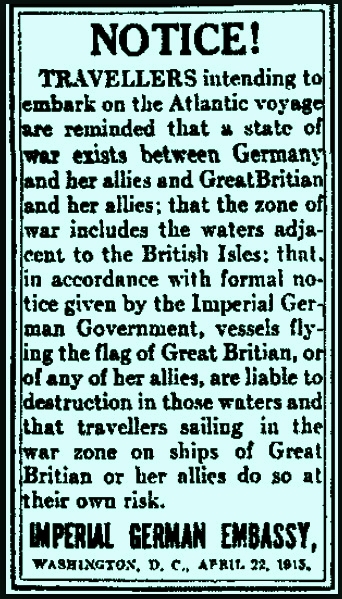 The German government had placed ads in American papers reminding potential ocean-going travelers that a state of war existed between Germany and Great Britain, and that British ships of all categories could be considered legitimate targets. Some heeded the ads specifically warning prospective passengers of the Lusitania that they boarded the ship at their peril; some were simply lucky and for one reason or another missed the departure from New York. 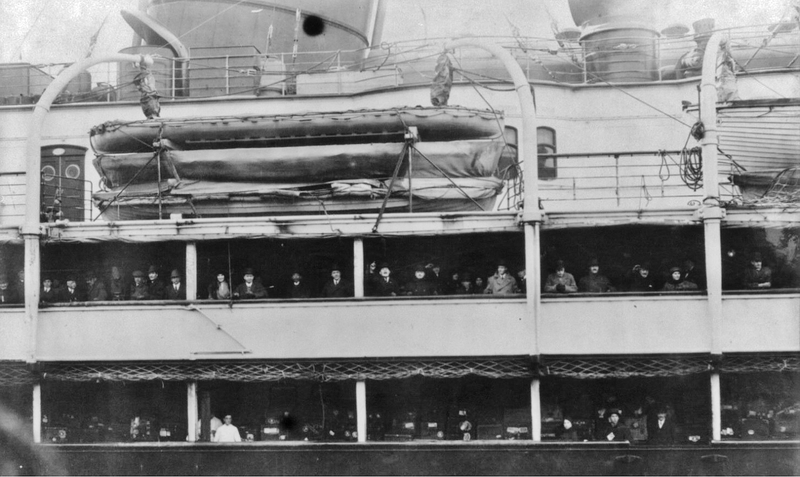 Rita Jolivet actually decided at the last-minute to board the Lusitania alone, unaccompanied. She was probably unaware of the warnings or she was trying to keep close to the schedule of her brother who would be in London on a brief military leave; most likely both. She did not know that she would find aboard the same ship friends and relatives, including her brother-in-law George Ley Vernon (married to Jolivet’s sister Inez), and Mr. Charles Frohman. When the German torpedo struck the Lusitania, Jolivet found the life-preserver in her cabin and managed to climb up the stairs that had become nearly impassible due to the severe listing of the ship. On deck she found her brother-in-law and Frohman, among others. Seeing that the lifeboats were not an option — the few boats deployed had spilled passengers into the roiling sea — they held hands and hoped for the best. Jolivet’s last recollection was of a wall of water dividing her from Frohman, who seconds earlier had spoken as his final words a line from one of his great theatrical successes, Peter Pan. “THE Lusitania assassinations appear to have touched every branch of American social, mercantile and artistic endeavor. Not the least unusual of many remarkable experiences was that of Rita Jolivet, queen of drama spoken or screened. Miss Jolivet, after finishing some highly interesting photoplays in California, was en route to London for a short visit. So far as is known, Miss Jolivet was the last person to converse with the famous American theatrical manager, Charles Frohman. They stood together at the rail as the stricken liner heeled over slowly to its death. Mr. Frohman did not appear over-anxious to embark in any of the boats. “Just then the water struck them. A few hours later Miss Jolivet, drenched and exhausted, but alive, was landed at Kinsale. The next day Mr. Frohman’s body was identified in a Queenstown morgue. The peaceful smile was fixed forever upon his still face.” Photoplay Magazine, July 1915. Frohman did not drown, but rather, died of head injuries during or after being swept into the sea. His body washed ashore on the Irish coast where it was recovered and returned to New York. Jolivet’s brother-in-law George Ley Vernon perished and, to compound the tragedy, his wife, Jolivet’s sister Inez, committed suicide in her Manhattan apartment weeks later. 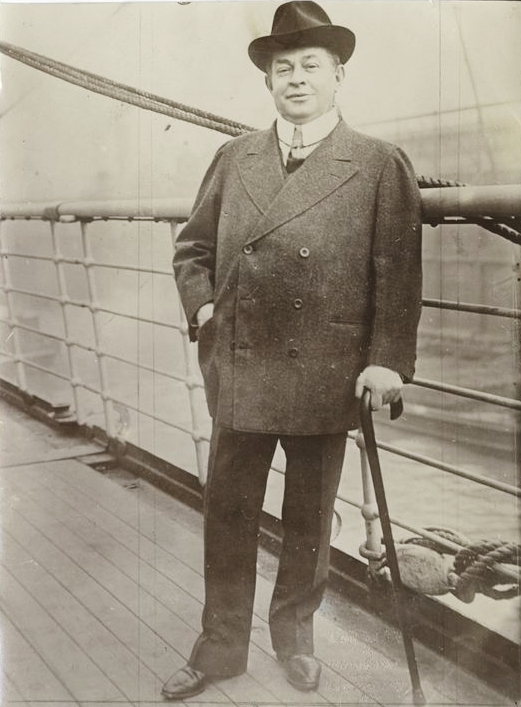 “Last Photograph of Charles Frohman, taken on the Lusitania, 1915” is the note on the reverse of this famous photo from the Billy Rose Theater Collection of the New York Public Library. Rita Jolivet found her self thrust up to the surface and, finding an overturned canvas collapsible lifeboat to hang on to, managed to stay afloat until a nearby ship rescued her and others in the vicinity of the collapsible. 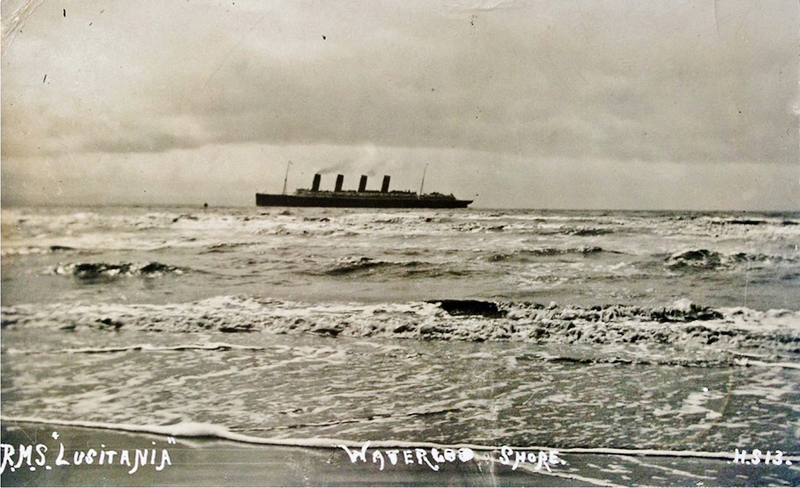 “Unlike many others survivors, she apparently assimilated the memory of the disaster quite well: although she spoke frequently of the sinking, she did not seem haunted by it, and the nightmares, panic attacks, guilt and anger which plagued the later years of so many of the Lusitania’s people do not seem to have been a major factor in her life. 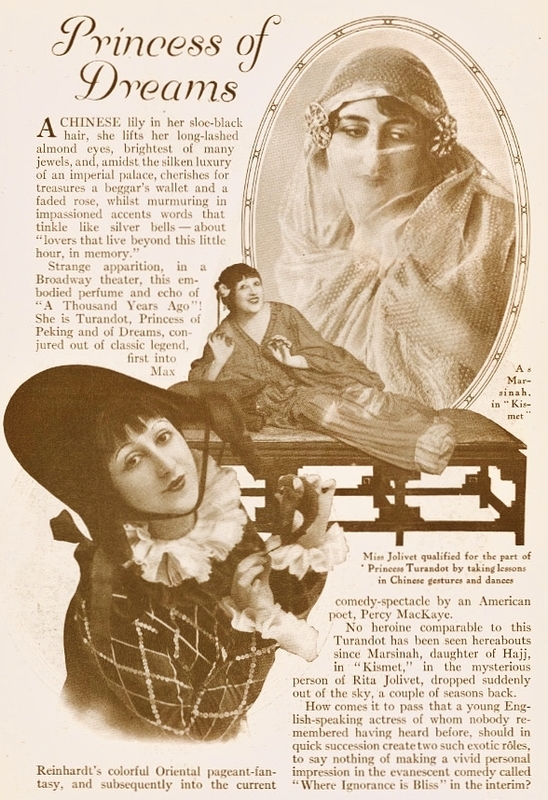 Her fame as a survivor has outlasted the acclaim of her dramatic career, and her 1917 testimony remains the best, and least fanciful, account of her experiences on May 7 1915.” encyclopedia titanica, “Lest We Forget Part 2, As the Lusitania Went Down,” by Jim Kalafus and Michael Poirier. 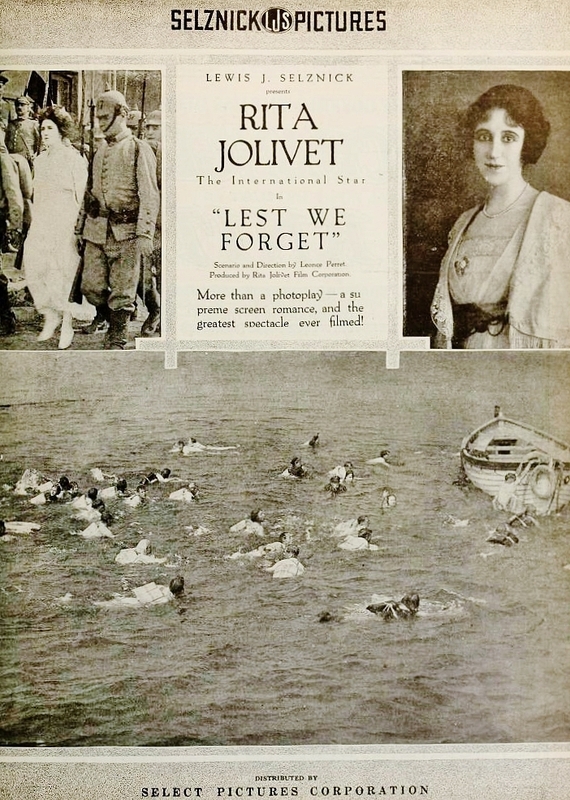 Incredibly, Rita Jolivet was able to survive the Lusitania ordeal unharmed and unscarred physically, mentally and emotionally, and to return to her career both on stage and in motion pictures. Rather than haunting the remainder of her life, as the Lusitania experience had for many of the survivors, Jolivet made close friendships with several of her fellow passengers, including two with a huge impact on her life. She took in Beatrice Witherbee for a period of convalescence in London, and Beatrice met and subsequently married Jolivet’s brother Albert. Through another Lusitania survivor, Lady Marguerite Allan, Jolivet met and eventually married a cousin by marriage of Lady Allan, James Bryce-Allan, in 1928 (Jolivet had divorced the Count around 1920). 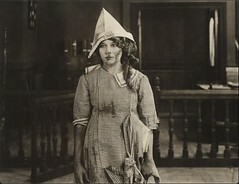 In the fall of 1915, she made what would turn out to be her last appearance on Broadway in the Harrison Grey Fiske comedy, Mrs. Bolton’s Daughters. 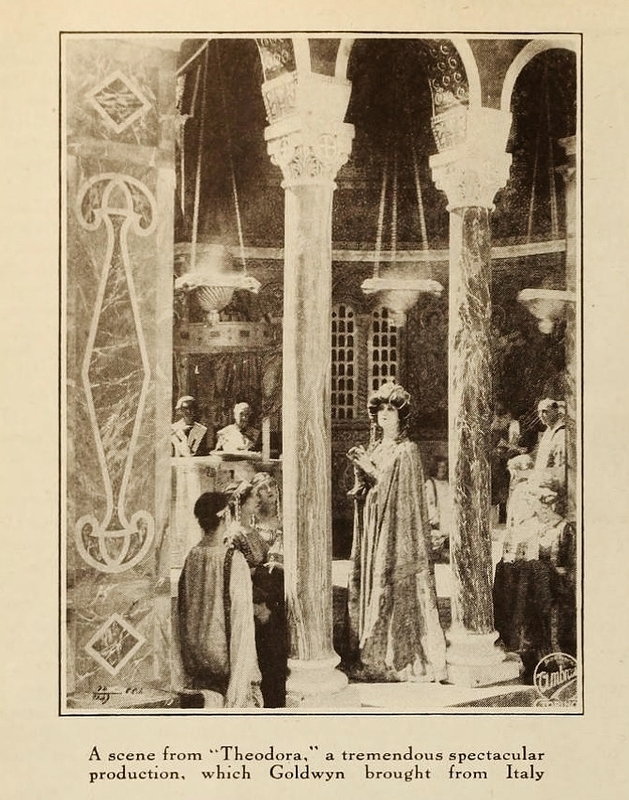 Shortly afterward, Jolivet returned to Italy where she made two more films for Ambrosio, S. A., Zvani and La Mano di Fatima, both released in Italy in January 1916, but never imported for distribution in the U. S. An earlier Italian release, The Masque of Life was rereleased in the U. S. in late 1916, reedited for the American audience with a “shipwreck” scene, presumably to capitalize on Jolivet’s Lusitania connection. Jolivet would do better with another project inspired by the Lusitania two years later. Her next film project brought her back across the Atlantic to the U. S. and Famous Players in Southern California to make An International Marriage with the Morosco production company, part of the Famous Players-Lasky unit. The story was of the romance of a European nobleman and an untitled daughter of a coarse American businessman (were there any other kind in early motion pictures? ), and the obstacles they encounter on the road to wedded bliss (including a sham marriage with a pre-arranged divorce to another Count to “legitimize” the American girl’s status as titled nobility so she can then marry her true love. Whew!!). ” [A] picture with an excellent dramatic hold . . . a splendid cast . . . [set] in an atmosphere befitting its strain. 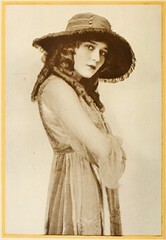 Vivacious Rita Jolivet was selected for the leading role and placed amidst a large and effective supporting cast. 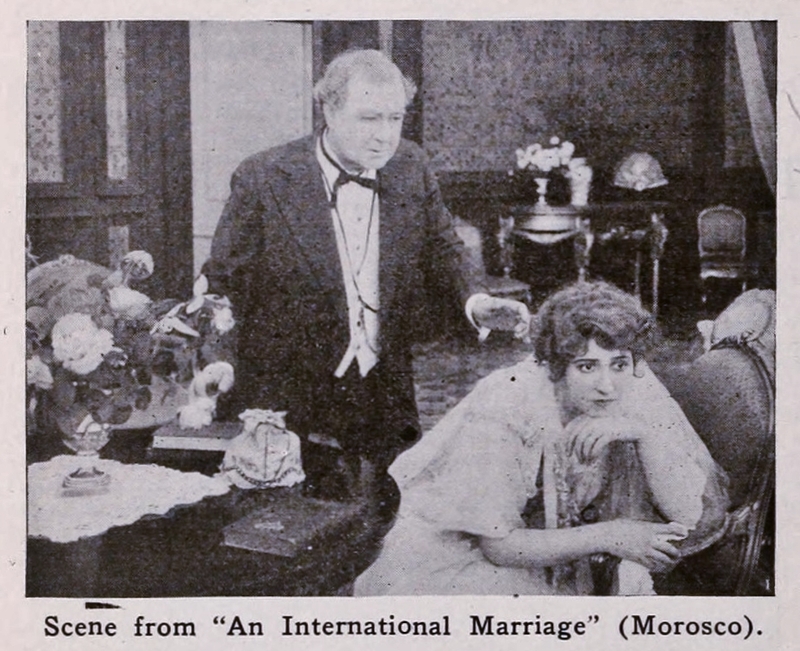 With its elaborate production, charming star and story which embraces a pleasing admixture of both dramatic and humorous situations in an unconventional plot, ‘An International Marriage’ is bound to come into its own in popularity.” The Moving Picture World, July 29, 1916. Jolivet made only one film during the following year, 1917. 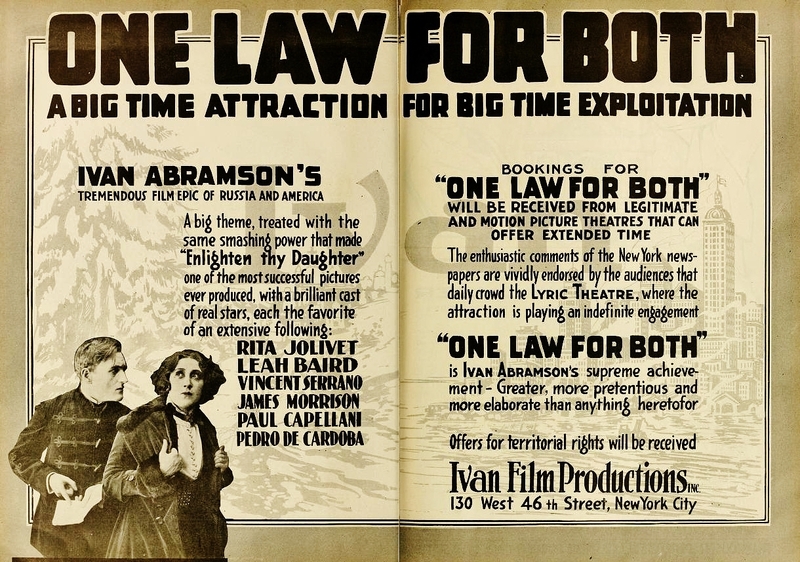 One Law for Both was made by the Ivan Abramson company, an independent film production firm that distributed its films via individual theater and state or territorial rights rentals. Ivan Abramson was a writer and director known for baldly moralistic tales with titles such as Sins of the Parents, Forbidden Fruit, Moral Suicide, Lying Wives and Enlighten Thy Daughter. In One Law for Both, the emphasis was on moral equality between men and woman and the hypocrisy that allowed men to come into marriage with prior sexual experience but expected new wives to be pure. 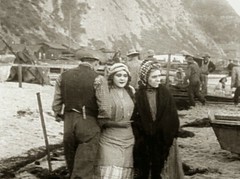 The film contained two parallel stories, one using the Russian revolution as a backdrop, the other, America. 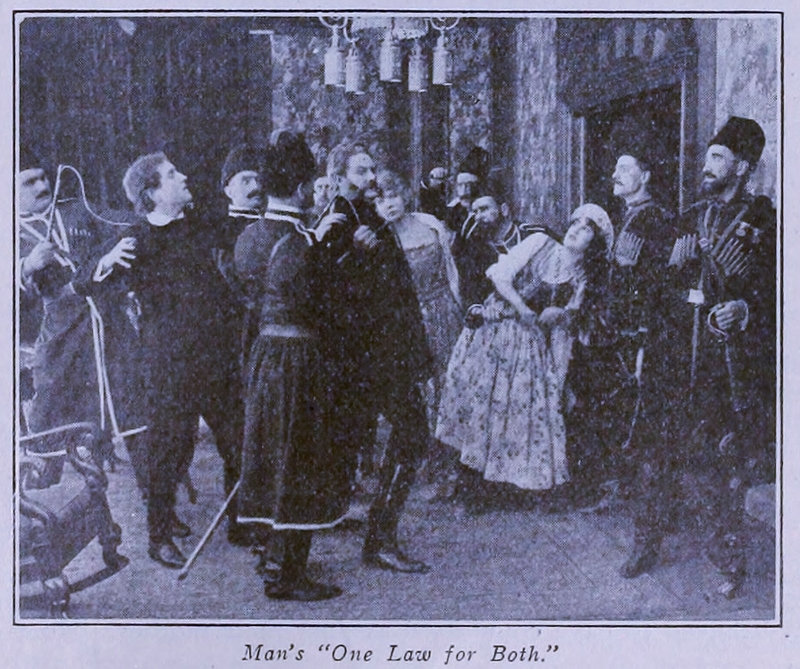 One Law for Both was seen by Motography magazine as confusingly constructed with poor continuity, too many characters, scenes and, at eight reels, simply too long. In The New York Clipper, however, the film was praised. “Two hours are packed full of romance and the struggles of fine character . . . Ivan Abramson, who wrote the play and directed it, has accomplished wonders in painting this story on the screen with full detail and yet without bewildering his audience. 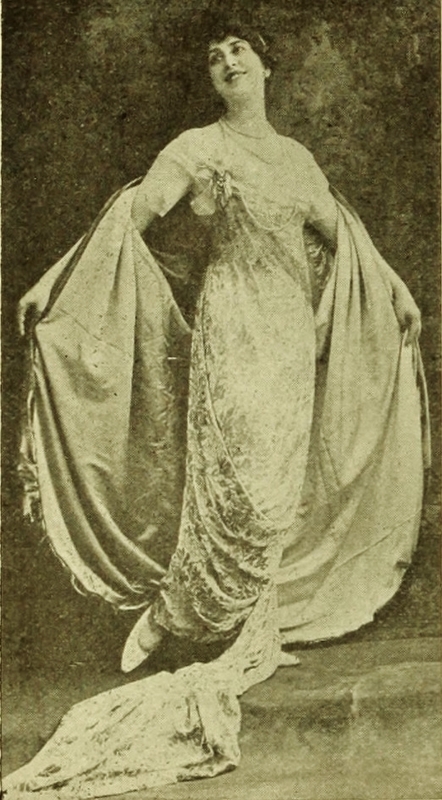 Rita Jolivet, as Elga Pulaski, fills with great power the role of the orphan daughter of noble parents, who sacrifices her honor to save her brother and a group of revolutionists.” The New York Clipper, May 2, 1917. Her next film project would be her last of the decade, an ambitious, expensive film that would be a huge success, though not necessarily for the reasons its makers or investors had anticipated. Rita Jolivet formed her own production company, The Rita Jolivet Film Corporation, with Lewis Selznick as a financial backer, and as a distributor via Selznick’s Select Pictures. Lest We Forget (dir. Leonce Perret) was a forerunner of the “disaster” epics of the 1970s, a hybrid of melodrama and documentary. The heroine of Lest We Forget is Rita Herriot, a French telegrapher who rose to fame as an opera star. At the outbreak of war, she is loved by a wealthy American and a German diplomat. She returns to be with her family in France where she becomes involved in espionage, is caught, sentenced to death by firing squad. The American hears that she has been killed, but in reality she has escaped to America. She receives an offer to return to the opera in England and boards the Lusitania despite warnings from the German diplomat who has hatched a plot to sink the ship. Rita strangles the diplomat, survives the sinking and is reunited with her American lover. The Moving Picture World found it strong in the lead-up to the sinking, “with many thrilling scenes” (MPW, Jan 19, 1918). Variety, however trashed the film, reporting that it cost between $375.000 and $500,000, and sneering that the filmmakers were hypocritical by blatantly excluding the word, “Lusitania” from the title when the film was an obvious attempt to profit from the disaster. “‘Lest We Forget’ as a ‘big picture’ is severely disappointing, with no offsets, and that is as it should be, through the reality behind the production is commercialism. As a ‘big picture’ it is the poorest one from every angle that has ever been turned out over here. Picture people will have several laughs at its shortcomings.” Variety, February 2, 1918. “Miss Jolivet was called upon for dramatic work often, but was unequal to it, perhaps through her limited appearance before the screen. Variety, February 2. 1918. Contrary to the opinion of Variety, Lest We Forget, picked up for distribution after its première by Metro Pictures (of which Louis B. Mayer was a founding partner), would perform quite well across the U. S. and Canada for nearly two years. And it would make money for a much different purpose — as a great propaganda vehicle, with Rita Jolivet appearing at screenings of the film as she toured the States in a Liberty Bond drive that netted millions for the war and relief efforts. “[T]he star in the Metro production, ‘Lest We Forget,’ made her appearance before 5,000 people on Thursday, May 2, in the Victoria theater. 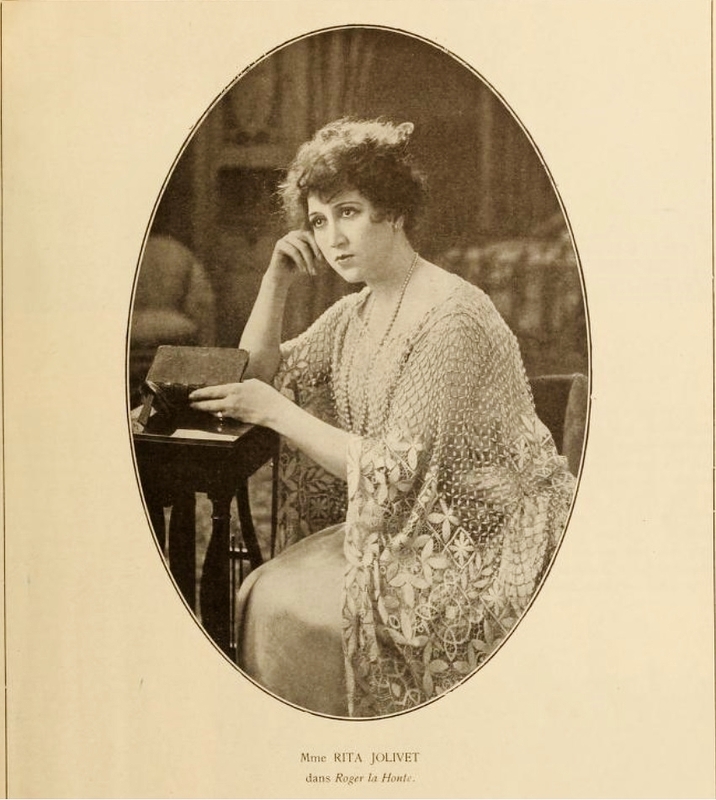 The writer has it direct from Shamokin that never in its history has a more capable, soul-stirring, patriotic woman speaker been heard here.” The Moving Picture World, May 25, 1918. “‘Lest We Forget’ Going Big. 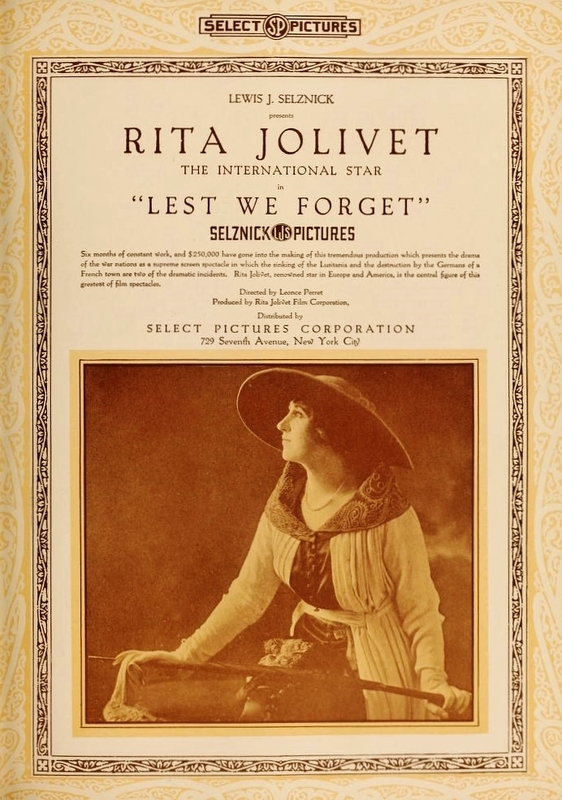 “Reports of the success of ‘Lest We Forget,’ the world war love drama produced some time ago by the Rita Jolivet Film Corporation, and now being distributed through Metro exchanges are gratifying to those financially interested in the production. The feature was the attraction at the Regent theater, Toronto . . . and broke all previous records at the house. 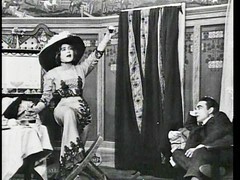 Rita Jolivet, star of the picture, appeared in person . . . and aroused enthusiasm with her patriotic speeches. Miss Jolivet is a great favorite in Canada. More house records were smashed by the picture in Waterbury, Conn., . . and in the Loew houses in New York City the following week.” The Moving Picture World, May 4, 1918. On April 29, at a single screening of Lest We Forget at the Stanley Theater in Philadelphia, Jolivet “told the story of the sinking of the Lusitania in such a graphic manner that she obtained $33,000 worth of subscriptions for Liberty Bonds.” (The MPW, May 18, 1918.) The next day at the Stanley, she got $40,000 more. 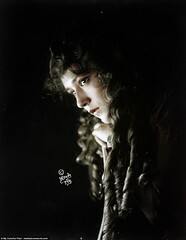 After Lest We Forget, the most notable film production of the remainder of Jolivet’s career was the Italian epic, Theodora. 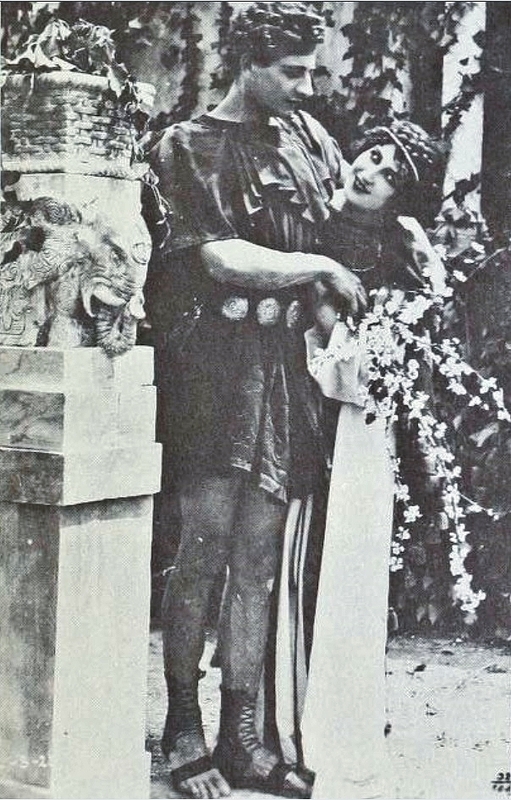 A return to the epic works of early Italian Cinema such as The Last Days of Pompeii and Cabiria, Theodora featured Jolivet in the title role, the cabaret entertainer-prostitute who married the sixth century Roman Emperor Justinian and became his Empress and most important advisor, and a notable figure in the early Christian church. Directed by Leopoldo Carlucci (who had just directed late-period diva film star Elena Makowska in Caino) and released in late 1921, Theodora was one of the few high points of an Italian film industry that had virtually imploded following the first world war and economic collapse. “‘Theodora’ is another massive Italian production on the order of ‘Cabiria,’ only more elaborate. Imported by [Samuel] Goldwyn and current at the Astor, New York. [Goldwyn] spent $50,000 in a preliminary city advertising campaign before it opened . . . It has been a sellout right along. Tuesday night, Charlie Chaplin occupied a box, and the appearance was widely heralded. By 8 o’clock, the box office stopped selling standing room. Media Sources: The Media History Digital Library for The Moving Picture World, Motography, Variety, The New York Clipper, Photoplay Magazine, Pictures and the Picturegoer, Cinea magazine, A Pictorial History of the Silent Film; Wikipedia.org; encyclopedia titanica.org; The Lusitania resource at rmslusitania.org. Geneology: Courtesy of Daniel Doyon, via FamilySearch “New York Births and Christenings, 1640-1962,” database, at https://familysearch.org/ark:/61903/1:1:FDL2-5XV : 12 December 2014), Marguerite Lucile Jolivet, 25 Sep 1884; citing Castleton, Richmond, New York, reference ; FHL microfilm 1,376,368. Photos (excluding those from the above periodicals and publications): Key sheet photos from Kismet and Charles Frohman aboard the Lusitania from the NYPL Billy Rose Theater Collection at nypl.org, Rita Jolivet NYC Liberty Bond rally, Bain News Service photo at the Library of Congress; The Lusitania and Lusitania Lifeboats from Wikipedia Commons.